This course offers perfect tips regularly to score centum, such as how to read, revise, write the exams, etc. It also gives tips to encourage the students and clear the psychological barriers in their learning process! ii) Top 5 Rankers List among every 50 students. iii) Our Nicely written answer sheet for each test to show how to write for centum. iv) Suggestions for your improvement. 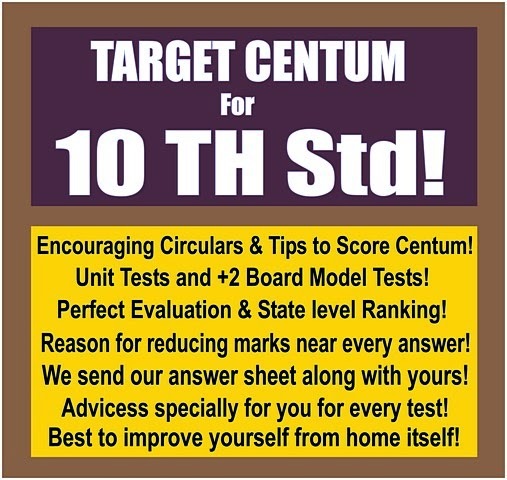 If you are going to write 10th Std Board in March-2019, you can enrol this course.